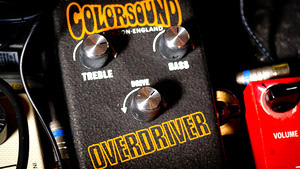 KitMonsters – Coloursound Overdriver. The music makers’ guide to making music. 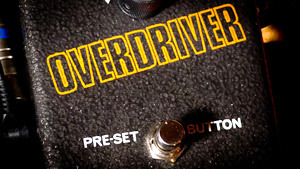 Overdrivers are highly sought after over 40 years after they launched, and there is a waiting-list for the analogue pedals, which are hand-built in the UK - even the circuit board - and designed to last. 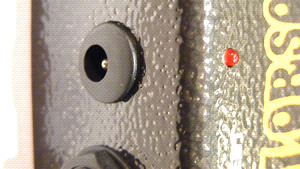 The cases are stamped by hand in a 1960s car press. 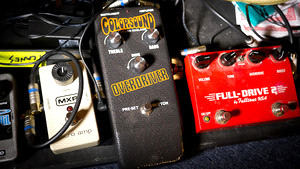 In 1968 Jeff Beck cranked up the Coloursound Powerboost pedal to give a huge overdriven sound and it became the Overdriver pedal, billed as the loudest pedal in the world and so ‘window-shattering’ that new versions have a knob so you can turn it down. 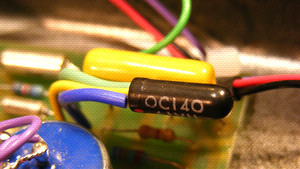 It was also used by Dave Gilmour on Pink Floyd’s Dark Side of the Moon. 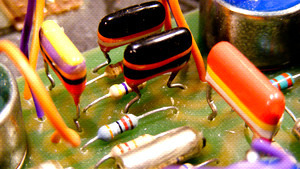 It is used by artists such as Joe Bonamassa and Steve Forrest of Planes.